April 3, 2019 • By Jesse Milan Jr. Barely two months ago, at his State of the Union, President Trump issued his challenge to end the domestic HIV epidemic by 2030, even though most of the policies he’s proposed during his tenure thus far are in direct opposition to that goal. 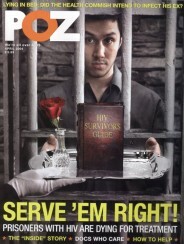 Despite immense skepticism about his proposal, much of the HIV community – myself included – set aside their personal distrust of the Administration and expressed a willingness to work with it to achieve this goal, which once seemed so impossible. Initiatives like this are bold by their very nature, though, and require massive investment and immense coordination to succeed. To ensure that appropriate investment and coordination occur, nearly 600 HIV positive advocates and their allies converged on Capitol Hill this week for AIDSWatch, the nation’s largest annual federal advocacy event on HIV. Participants from 40 states, DC and Puerto Rico, comprised the second largest contingent in AIDSWatch history, some traveling thousands of miles to share their experiences and the real-life impact of federal HIV funding, and urge them to commit to ending the domestic HIV epidemic within the next decade. While just a few years ago proclamations about an “AIDS-free generation” drew skepticism from parts of the public health community, some of whom deemed it unrealistic, there is broad consensus today that we have the tools and knowledge to truly end the domestic HIV epidemic. We just need the collective political and moral will to do so. In the hopes of rallying that will, the HIV community released a plan last World AIDS Day that went even further, claiming the United States could achieve that goal by 2025 – averting 290,000 new infections and saving $76.3 billion in health spending in the process. To date, the President has favored draconian cuts to health and safety-net spending that would undoubtedly undermine any effort to end the HIV epidemic. And while the President did request an additional $291 million in funding in his most recent budget to implement his plan, he also proposed massive cuts to HIV-specific housing and research programs, as well as a whopping twelve percent cut to funding for the Department of Health and Human Services overall. Perhaps the most troubling is the President’s continued attacks on the Affordable Care Act (ACA) – the most recent coming just last Monday, when his Department of Justice urged the Fifth Circuit Court of Appeals to affirm a lower court ruling that would invalidate the entire law. While consistency is not something this White House has been known for, the sheer number of policies put forward by this administration that would undermine his efforts to end the epidemic are almost mind boggling. His domestic gag rule on Title X clinics, his proposed reforms to the six protected classes of Medicare Part D, and now his position that the entire ACA be thrown out. All these proposals would restrict access to care and treatment for people living with and vulnerable to HIV at the very time this administration claims it wants to end new transmissions of HIV, by getting those living with it into care and on treatment. As advocates arrived at AIDSWatch Monday, they prepared to ask Congress to take up the challenge that this administration had so boldly posed, but whose poorly-conceived policies have so blithely undercut. Now is the time to see this through. Our country – our world – has shown incredible resiliency in the face of this epidemic, but it should not have to any longer. Congress, the White House, and the larger public health community agree: We have the tools. This is possible. The only question now is if we’ll see it through. The countdown to the end of the HIV epidemic, 2030 starts…now. Jesse Milan Jr., JD, is president and CEO of AIDS United in Washington, DC, which is lead organizer of AIDSWatch. 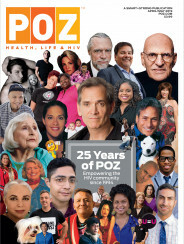 For POZ coverage of AIDSWatch 2019, click here.